Playing online casino games that come with whooping jackpots is very thrilling and exciting particularly because you can win a life- changing amount of money. The casino games of luck often offer huge jackpots. One such game is Jackpot Keno. Jackpot Keno is based entirely on luck and the objective of the game is to try and guess the winning numbers. If lucky, players also have the chance to hit the jackpot amount. Continue reading to learn more about Jackpot Keno and where to play the game for real money on the Internet. Jackpot Keno is comprised of 80 numbered boxes and players have the choice of selecting 5 to 10 numbers. Once you select the numbers you should guess at least 2-10 of the winning numbers. The win amount varies depending on how many numbers you have selected and how much you have bet. You can also select “Auto Pick” and numbers will be automatically selected. If you click on the “Clear” button you will refresh the game and you can select a new set of numbers. The best thing about Jackpot Keno is the possibility to win a huge jackpot. How the jackpot is won depends on the particular Jackpot Keno variant. In some cases, to be able to win the jackpot amount you have to bet the maximum and reveal a jackpot symbol. In other cases, you need to make a side bet of particular amount. Jackpot Keno can be played for real money at a number of reputable online casinos. The casinos powered by NetEntertainment and Microgaming software providers in particular offer the game for real money and if lucky, players can walk away with the big jackpot amount. To play NetEntertainment’s Bonus Keno Jackpot, players pick between 5 and 10 numbers and how much they win depends on their initial bet. There are five different bet levels and when the numbers drawn form a letter ‘J’ on the game board, players win the jackpot. To take home the full jackpot amount, they should play the maximum 5 euro bet. Bonus Keno Jackpot by NetEnt is available at Mr Green Casino. 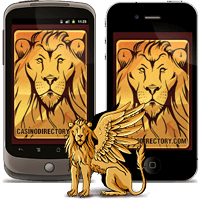 The casino has been online since 2008 and it is considered as one of the leading casinos on the Internet. Mr Green Casino offers huge game selection, nice bonuses and has responsive player support. Jackpot Keno by Microgaming allows players to select up to 15 numbers. If they guess some or all of the winning numbers they can win huge payouts. If they bet the maximum, players have the chance to win the jackpot. Microgaming’s Jackpot Keno can be played at 32Red Casino. The award-winning casino is owned by the reputable 32Red Plc and it is licensed in Gibraltar. 32Red Casino offers high quality gaming experience and has top notch security.